In this article, we consider the eternal debate. Lyrics or melody – which is more important? Which one should you be putting more effort into? Find out. When it comes to songwriting, there are about as many approaches as there are songwriters. You can express your creativity in a variety of different ways, but having songs that really showcase your talent and personality will give you a boost of confidence as an artist. Some say rhythm is the most important thing. Others might say lyrics or melodies. Still others might point to chord progressions or harmonies. In this article, we’re going to consider whether lyrics or melody are more important to a song. This approach to songwriting is probably best embodied by the late and great Kurt Cobain. Grunge music carried a rebellious spirit with it, and it was clearly a backlash to the Hair Metal and Power Ballads that dominated the airwaves throughout the 80s and early 90s. Musically, Grunge was simpler, edgier, and had a little bit of the don’t-care attitude Punk music was known for. So the lyrics were also more abstract, and that was a stark contrast to the popular music of the 80s, which often contained direct and overt messages. The melody is the hook of a song, and as such, this type of songwriting forces you to put your energy towards creating memorable melodies instead of witty lyrics. Bob Dylan is a very accessible example of a lyrics over melody style artist. Intended or not, Dylan was a brilliant songwriter who didn’t pay quite as much attention to the musicality of a song in relation to the message of the song. In fact, he eventually adopted a mumble-sing approach, which made it a little harder to understand what he was saying. But most of all, this did not translate into Poppy melodies. There are plenty of great songwriters out there, but not all of them emphasize lyrics over melody. Some of them have found a meaningful balance that allow them to showcase both their melodic sensibilities and wordsmith techniques. Maybe a song isn’t so much about the lyrics or the melody as much as it is about the overall experience you create through it. If this thought resonates with you, perhaps your songwriting philosophy requires a bit of compromise. To some extent, this approach would also be represented by the New Wave music movement in the late 70s and 80s. It was clever, a little poppy, but also somewhat abrasive. A lot of New Wave bands were very intelligent in their songwriting, but the sound that severed as the backdrop to the music was dominated by dry, twangy guitars (similar to Country or Surf music), drum machines, and early synthesizer sounds. Both Fountains of Wayne and They Might Be Giants are bands that somehow manage to find the perfect balance of memorable melodies with clever, thought-provoking lyrics. If you have a statement you want to make, and you want to make sure people remember your hooks too, then this approach may be the right one for you. This can be hard to achieve, quite simply because your lyrics may not follow a specific rhythmic pattern or rhyming scheme. Meanwhile, you still have to think about creating a catchy melody to go along with the words. However, when it’s done right, this approach can produce some incredible songs. Lyrics or melody: in the end, is there really a right or wrong answer? A great song is the combination of many elements; melody, harmony, rhythm, lyrics, and so on. When these elements come together as a meaningful whole, it isn’t necessarily the strength of one part or the other that makes it great; it’s a mixture of everything. Why not experiment and try different approaches? 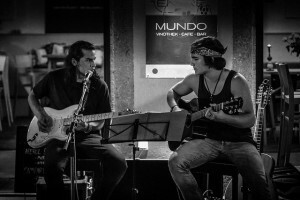 Find a way to say what you want to say through your music! Photo courtesy of Matt Gibson used under Creative Commons. Let’s be honest; getting discovered as an artist isn’t easy work. You could have a polished image, a great album, an extensive touring schedule, a growing and admiring audience, and still not find the recognition you’ve long been seeking after. But there are a lot of things that can hold an artist back. Here are five reasons many artists haven’t been discovered yet. The biggest source of paralysis for practically every artist or band is fear. There are many forms of fear; fear of success, of failure, of being treated unfairly, fear of losing money, and so on. The truth of the matter is that if you never do anything out of the ordinary or take any risks, you can’t expect to get different results than you’ve already gotten. The single biggest antidote to fear is action. When you’re busy doing the work, you can learn from the feedback you’re getting. If you remain in your comfort zone, you stifle your ability to learn something new. Another way to cope with fear is reframing. For example, if you’re worried about being rejected, instead think about the innumerable ways in which you will be accepted! There is an audience out there for everything; you have but to get out there and find yours! Music gives you a means to express yourself, and there are those who are going to resonate with what you have to say through your art. It’s a good idea to get a lock on who your fans are so that you know where to go to reach more of them. You might even consider surveying your growing fan base from time to time. Where do they hang out online? What magazines do they read? What do they like to watch on YouTube? Figure out what your fans are interested in, and you’re sure to find more people just like them! The danger of not setting any goals is such that you more or less get what you ask for. Randomly recording, playing shows and writing songs is only going to get you so far. Those who have goals are driven to reach them and are daily taking steps to move towards them! You need a plan for your music career, and that plan begins with clearly defined goals. If you don’t have that, it’s no wonder you haven’t progressed. Make sure to write your goals down on paper and put them where you can see them every single day, or use a band management app like Mike to help you keep them at the forefront and track your progress. This also goes back to what was said earlier about fear, because if you’re afraid of meeting people, you may not be building new relationships to move your career forward. In today’s world, it doesn’t matter what you know so much as who you know. So who do you know? You can’t get into the bars or the clubs if you don’t know the right people. It can be really challenging to open up new opportunities without a solid network. There are very few people who genuinely love networking, but don’t forget; even introverts can work their email inbox! LoudUp is a new social network for musicians and music fans. 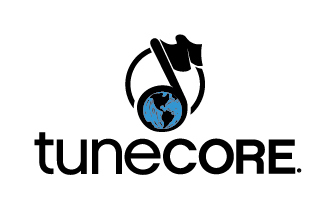 If you are a music fan, it will help you to find new music, and if you are an independent artist, it will help you to get your music heard and make the right connections so explore the artists, producers and other industry people on the site. As you find people that you like, connect with them and you will start to expand your network which will open up opportunities such as being able to gig together, collaborating, and learning from each other’s experiences. If you aren’t open to it, you’ll never ask for it. If you ask for someone’s opinion, you may risk getting hurt. If you never ask, however, you may not have the opportunity to learn what you’re doing wrong. For example, if you send in your latest single to a radio station and they choose not to play it, you can still ask why. It may be that your song doesn’t fit the format of the station (this is pretty common), but it could also be that the guitars aren’t in tune, or maybe the production just isn’t up to their standards. Yes, addressing issues like that can be challenging. However, you are better off knowing them now than finding out 10 years down the line when your career is still in the same place. Building the music career of your dreams will almost certainly take a lot of work and determination. You will have to persevere and exercise tenacity in the face of rejection and challenge. But if you never look at your biggest obstacles, you’ll also never come up with a plan to reduce and overcome them. Start looking at your weaknesses and become familiar with them. That way, you can start looking for solutions to the problems you’ve identified. Photo courtesy of Christian Weidinger used under Creative Commons. Have you read about those big name bands who end up in courtrooms long after they have split up arguing about who wrote what part of their songs and what split of the earnings of their music, or royalties, should have been divided up? Equally, you might have read about some humble songwriter who claims that their melody has been pinched by an established star who claims that they wrote it. Either way, these problems usually only get sorted out months or years down the line in a court after a number of legal arguments have been made and countered. In the end, it is the legal professionals who win in this process and artists rarely come out of it with their dignity intact, nor their bank balances looking as healthy as they once did. In order to be able to prove that you own your music, it is important to understand the concept of copyright. 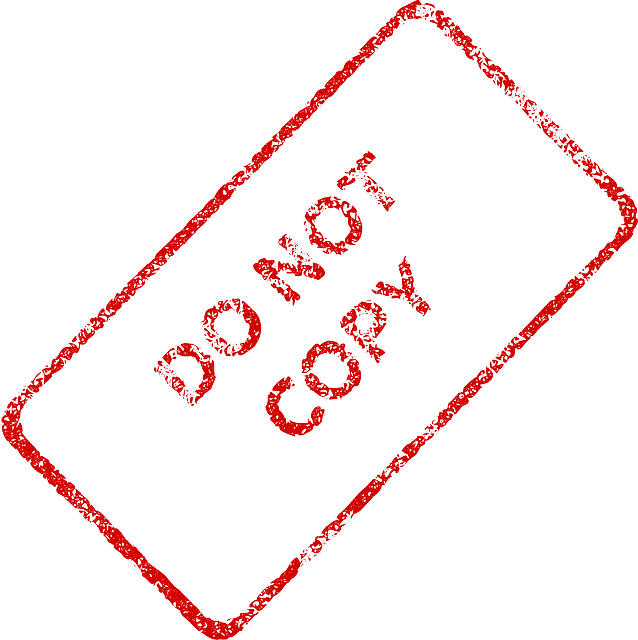 Copyrighting is not the sole domain of music and includes all so-called intellectual property. Therefore, independent music makers and songwriters – just as much as photographers, writers and designers – will get something out of this article. In it, we’ll look at the basic copyright function, the degree to which you can protect yourself and the length of time you can expect to ‘own’ all of the earning rights derived from your musical creations, and exactly how to copyright a song. Copyright is a law that gives you exclusive use of a work you have created, protecting you against the work being copied. Without the benefit of a legal team who can help to copyright your music for you, independent musicians need to go it alone. When it comes to music, there are three basic things to consider, in terms of protecting yourself. The first is the copyright you hold to your songs and the second is to any recordings that you might have made of them. Thirdly, and of increasing importance in the music industry, is your image rights, which might cover things like your band logo and so on. Although the copyright laws vary from country to country, they all basically have the same function. 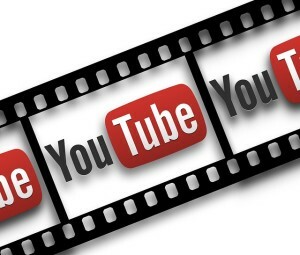 That is to legally grant the creator of a work exclusive rights to its use and distribution so long as it is original. Therefore, you already own the copyright to your own works, but you don’t to cover versions. Remember that your music needs to be original, so your copyright could be challenged in law if somebody claims that your work is not new in some way, for example that you ‘borrowed’ a riff from another song or that your lyrics ‘quote’ too extensively from a poem or other literary source. There are some exceptions to the exclusive rights granted however, fair usage of your work is allowed and for which copyright law will offer you no protection. This might include clips or excerpts of your songs for the purposes of criticism or reviews, for example. Essentially, songs are made up of three components and each of these, or rather the three taken together, can come under the protection of copyright law. Harmony structure, or the chords of your song, its lyrical content and the melody of your track, sometimes including riffs and licks, are all protected under copyright. However, this protection is only good so long as nobody challenges it in law. Nonetheless, if somebody later comes up with an identical song to yours, so long as you can prove yours was written first, copyrighting it should protect you and allow you to successfully challenge their claim of ownership. 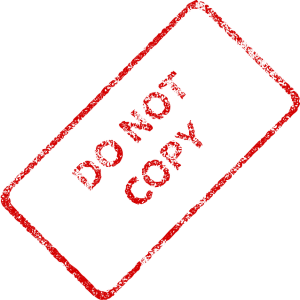 Just like any intellectual property, copyrighting should allow you exclusive earning rights to your song, unless you sign them away under a management or publishing deal, that is. 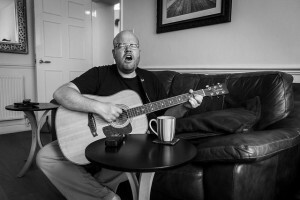 Remember that for the most part, popular songs are made up from a standard array of chords – major, minor, sevenths and so on – so you should not be too keen to exert your legal rights over a song that has a repetitive pattern of chords, such as C, Am, F, C. It is highly likely that some other songwriter got there before you, after all. However, taken with a distinctive melody and an original lyric, you might be more secure in your rights. If you write lyrics but not the melody, then basically you will own half of the intellectual property covered by copyright law and vice versa. So how exactly can you go about copyrighting your music, and how much does it cost? Well, given that the law affords you intellectual property rights automatically, the cost is zero. Your music is automatically protected as soon as it is created. However, this seldom works in reality because you need to be able to prove that you own a song and wrote it first in order to assert your rights. One of the cheapest ways of doing this is to make a simple recording of your song and to burn it onto a CD. Then simply post the CD to yourself. If unopened, the date mark will reasonably prove when the work was first made. Alternatively, you could use notation software or a manuscript to post the melody, harmony structure and lyrics to yourself in a paper format. All that this will cost you is a few pence. This method is frequently referred to as “poor man’s copyright.” Nonetheless, this method has been overturned in some court rulings in the USA, so you may want to go to greater lengths. Sending your work to a bank or a solicitor for them to hold for you for future use is much better than sending it to yourself. Banks and legal professionals offer this sort of service for all sorts of important documents, such as property deeds, but they will charge you for doing so. Make sure you obtain a written receipt. Registering your song with a publishing organisation is often free, but this on its own does not create any copyright in law or offer you additional legal rights. It should mean that you obtain royalties, if your song is played on the radio or in a public place, however. You can also use the services of the United States Copyright Office who offer a copyright registration service. The progress of registering a song is as simple as completing an application form, sending a copy of the work to be protected, and paying a fee, and you will be provided with a certificate of registration. The fee charged for an online application is $35 for one work by a single author, otherwise the fee increases to $55. For a paper registration however, the fee is $85. Please note that even if the application is submitted online, the work being protected will still need to be physically sent to the copyright office. It can take up to 8 months to receive the certification of registration for online applications, and up to 13 months for paper applications. For outside the US, there is a similar service offered by Copyright House. The fee structure is quite flexible. You can either pay based on the number of registrations, for example £79 for 5 registrations, £99 for 10, or they have an option for unlimited registrations which is charged either on a yearly basis at a charge of £19 a year, or for a 10-year period or lifetime. The Copyright, Design and Patents Act of 1988 gives independent musicians a more extensive period of copyright protection than they had previously enjoyed under earlier legislation, so the good news is that artists are in a better position than ever before. However, copyrighting your music does not mean that it will last forever in the eyes of the law. The length of time copyright is held varies depending on the nature of the intellectual property, so your image rights, for example, may be different to the ownership of any self-penned songs. 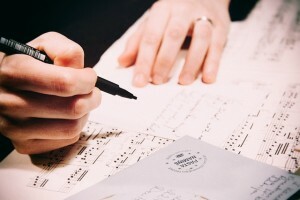 The length of copyright also varies between different jurisdictions, although there is international agreement, certainly among western countries, for song writing. In the US and UK, your songwriter’s copyright will expires 70 years after your death. This applies to the creators of all musical, written, artistic and film work. However, when it comes to broadcasting rights it is 50 years from when the broadcast is made that counts. Musicians’ rights to their sound recordings has been extended to 70 years from the date of publication, to bring it more into line with other performers’ rights. In cases where you might want to use something old without infringing on someone else’s potential intellectual property, then remember that the copyright expires 70 years from the end of the calendar year in which the work was first made available to the public, so long as the creator of that work is unknown. Who listens to CDs these days? Although many bands still have CDs as a part of their offering at concerts, not many of us actually consume our music in this format any more. Of course, someone who purchases a CD of your recordings at a gig is likely to rip it to a computer or an audio player when they get home, but why put them to the trouble? Instead of selling CDs why not opt for USB memory sticks which have all of your band’s audio files loaded onto them? Not only will you be able to have your audio stored in an MP3 format and ready to go, but you can also have other promotional material loaded on to them, such as your press photos and band contact details. 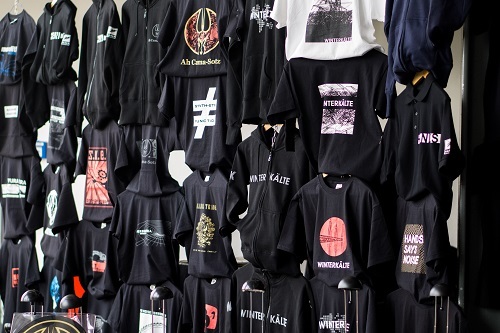 Offering something that can be worn by your growing fan base is always a good idea, but why not offer something different from the plain old T-shirt which nearly every artist has. Produce a short run of bandanas featuring your band or act’s name. Because they can be worn in a variety of ways, they are a very good and gender neutral item of clothing. Whether they are tied around the wrist, neck or worn over the head like a scarf, a band bandana will help to make your band’s brand to stand out from the crowd and they are often cheaper than T-shirts, too. The business part of the music scene can put many musicians off, so the idea of getting some business cards printed is one that may seem counter-intuitive at first. Nevertheless, having something to hand after a gig which has your band’s website, contact details and logo on can really help you build awareness. Have you ever been greeted with a friendly, “Great gig, man” when you come off-stage? Having a business card at the ready helps to connect with fans and potential new promoters alike. It is so much better than scratching around for a pen and writing your band’s name down on the back of a beer mat! These giveaways are not so great if you are in an electro pop duo or a vocal harmony group, but indie rockers and heavy metal bands can really benefit from plectrums which feature the band logo and perhaps the website address. Branded plectrums are, it should be said, only little pieces of plastic, but what could say more about your ability to rock than a guitar-related freebie? These days, vinyl is making something of a comeback. The one problem with records is that you still need to physically transport them around to be able to sell them. Twenty years ago, this might have meant dropping off copies in your nearby record stores, but there are very few of them left nowadays, in any case. As a result, selling vinyl to the music fans who really want it is only possible when you are there in person. In short, this means at record fairs or at gigs. If your fans are asking when you will produce a record, perhaps it is time to think about actually doing so. Having tour posters, even when you are not really on a tour but stringing a series of gigs together, is a good idea to help promoters advertise your events. However, when you produce these, with your artwork and photography set out to make your band look cool, print a few more off than you might actually need. Then you will be able to sell them at your merch stall at gigs as ‘tour exclusives’. If the band sign them, then they will already stand out from the ones used by promoters and you can even personalise them by addressing them to whoever happens to be buying one. Not got anything physical that you can give away or sell at a gig? If you have nothing else, then you should have your instruments and your creativity. If you are good at writing songs, then you ought to be able to string a few chords and a simple melody together for a fan and improvise a simple song for them, perhaps something that has rhymes based on the customer’s name. Okay, it may never be a hit, but a personalised song – even if it is done for a bit of fun – can make for a highly memorable and innovative means of generating band income. When selling your merchandise, always try to use a highly-lit area where fans can see what is on offer. Remember to have some change available and – above all – keep an eye on your cash. There was excitement on Monday 22nd June following Apple’s reaction to Taylor Swift’s statement that she won’t be making her 1989 album available on their new streaming service due to their decision not to pay artists for streams during their 3 month free trial period. Apple responded to announce that they have listened to both her comments and those of independent artists and have decided to pay artists after all, but how much will they be paying? Apple have declined to comment, but figures being thrown around are $0.002 a stream, drastically lower than Spotify’s payments of $0.006 – $0.0084. After the trial period, their payments will increase to 71.5% of revenues compared to Spotify’s 70% but does this make up for the drop in the initial 3 months? With the launch of the new Apple streaming platform just around the corner on 30th June, independent artists are facing a dilemma – whether or not to sign the agreements proposed by Apple. So what is the issue? Well, the new platform will be free for the initial 3 months following the launch which means that artists won’t be paid for music streamed during this period. As well as the payments that artists won’t be getting from Apple, they are also likely to experience a drop in paid downloads as users opt to stream tracks free instead of paying for downloads. Artists are also likely to experience a drop in revenue from other streaming providers (Spotify, Pandora, etc) as users make the switch over to Apple’s service. So is this fair? As the free period is Apple’s idea to attract users to use their new platform, shouldn’t they really be taking on the costs involved in this instead of the artists suffering?